Bemærk, at oversættelsen er på vej! When upgrading your iOS app you will not only avoid the risk of getting fined for violating the General Data Protection Regulation (GDPR), you will also benefit from noumerous improvements, fixes and design treats. 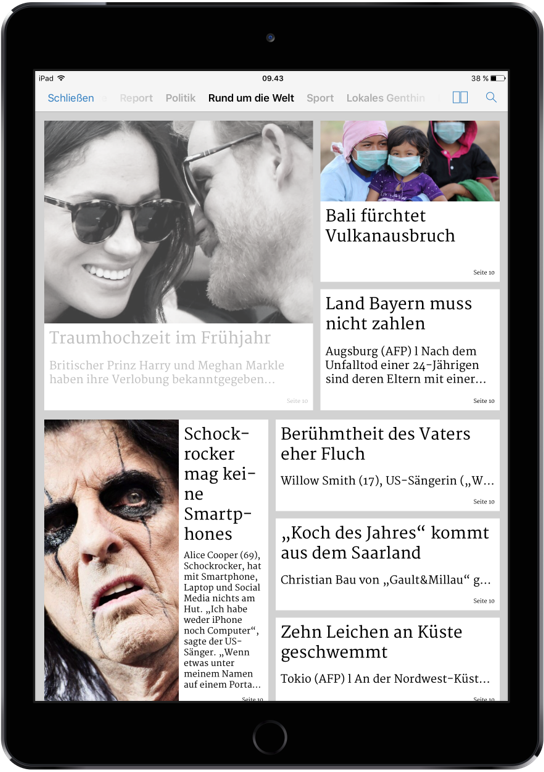 One of the most eye catching benefits is a new article overview for apps that contain article view. Providing a great overview of articles within each category or section (e.g. Sports, Local, Politics), the readers get a dynamic and prioritized view that will help them select the most interesting articles to read. What does the new article overview imply? Below we have listed the benefits and changes that the new article overview brings. The article overview replaces the article list that was accessible as a split screen in the article view. This means a cleaner reading experience in the article view and a more meaningfull overview of content. Articles are displayed as teaser cards with picture, headline, subheadline, blurp and bodytext depending on how much room the card has and which article elements are available. Articles are prioritized by pagenumber (lowest number in top), and articles with pictures will get a bigger card than articles with no pictures. When an article has been read, it will grey out in the article overview. This will make it easy for the readers to recognize which articles they can still look forward to. With great response from the readers the article overview has been implemented in our Android app two years ago. 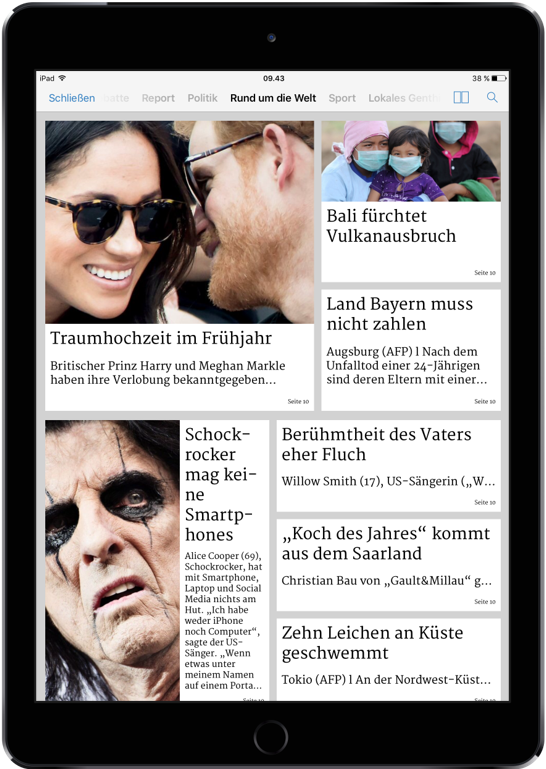 We hope that you and your readers will like it on iOS as well. The new article overview will be implemented in all apps upgrading to our GDPR compliant iOS version, but the total number of improvements will depend on when your app was last upgraded.